Stabilize caster settings and minimize wheelhop in your Fifth generation Camaro with a set of trailing arms from BMR Fabrication. 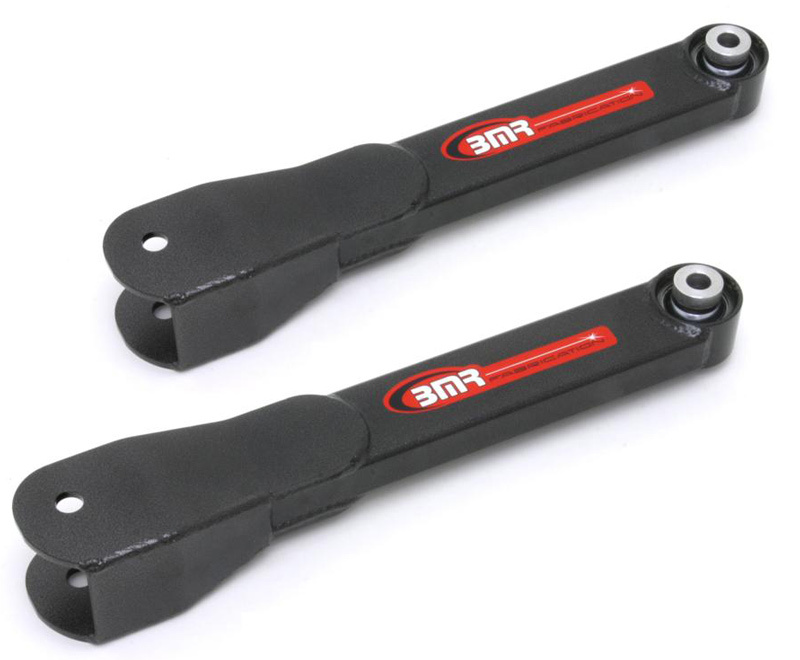 Superior to the factory stamped steel arms, these Trailing Arms are fabricated from 1" x 2" rectangular steel and 3/16" CNC laser cut and CNC formed steel plates. Uses low friction Teflon-lined spherical bearings. 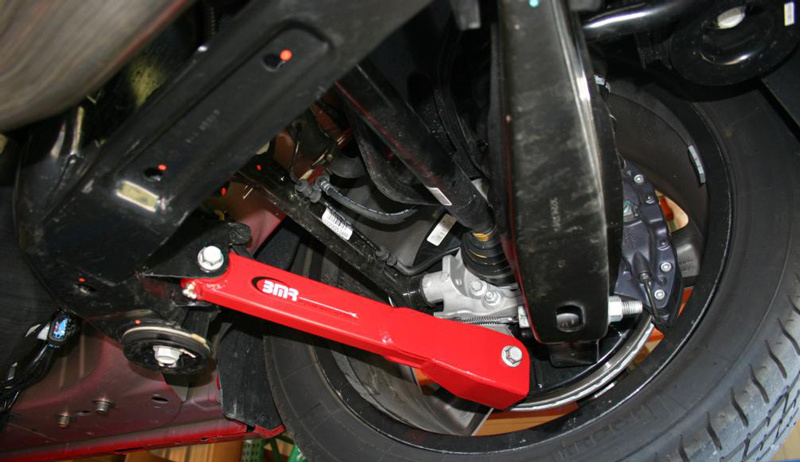 Stabilize caster settings and minimize wheelhop in your Fifth generation Camaro with a set of trailing arms from BMR Fabrication. Superior to the factory stamped steel arms, these Trailing Arms are fabricated from 1" x 2" rectangular steel and 3/16" CNC laser cut and CNC formed steel plates. Uses low friction Teflon-lined spherical bearings. Installation time is only 1 hour. BK006 Outer Trailing Arm Bushings recommended with this product installation.